The difference between my 2011 and 2012 routes. I preferred 2012. During my 2011 trip I stayed with a friend in his UC Berkeley frat house during my stop in the Bay. It was only for a night, but as is to be expected was eventful. The next day however, quite late, I took off with my next stop being Portland. I knew that the trip would be a two day endeavor. Being the cheap college kid that I was (today the only thing that has changed is my no longer having the excuse of student) I had no intention of paying for a room for myself. So after making my way into and through northern California, and about the time of night that I was losing feeling in my fingers, I decided to find a place to sleep. 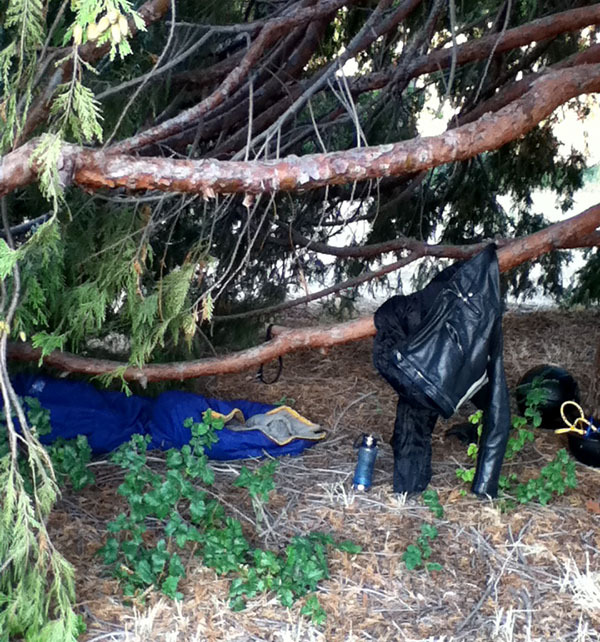 I chose a rest stop, and riding to the back in a semi-secluded (or rather remote) area, setup under a tree. After some sleep I arose and finished off the ride to Portland, arriving just after midday. Up until now, the weather had been pleasant. Bare in my mind this 2011 trip was undertaken in late August to mid-September. The only cold was predominately during the night, and I would see very little rain. 2012 however, was a different story entirely. In 2012 my girlfriend and I stayed in the heart of San Francisco with a traveling friend. The day we left, unsurprisingly, we got a late start. It didn't take long for us to really, really long for warm weather. North of San Francisco we met a barrage of rain that didn't let up. We stubbornly rode for a couple hours until we made it to Ukiah, a small town just over 100 miles from San Francisco. We were both cold and wet and needed a break from the rain. I filled up the bike with gas and, without consultation, rode to the nearest coffee shop. Seeking refuge indoors, I checked the weather forecast. Meteorologists agreed, we'd have rain for many days into the future, and all the way up to Canada. Snow was even a possibility. So a decision had to be made. Had I been alone it would have been an easy one. Keep going and deal with the rain. But I wasn't about to ruin my blimey girlfriend's first ride up the coast. So, I went on Craigslist. My mission? Find a cheap pickup truck to finish the ride in. Something that was ideally economical and a decent enough deal that I could flip it once home for what I paid. It became quickly apparent that such a thing was uncommon here in Ukiah. I searched the typical vehicles; Ford Ranger, Chevy S-10, Toyota Tacoma, Nissan hardbody, etc. Nothing decent was coming up. 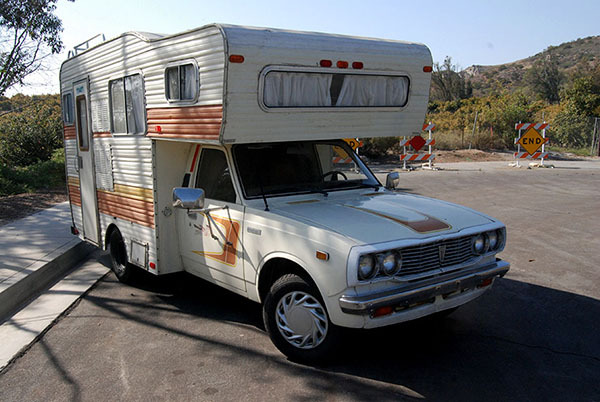 I found an old 1978 Toyota motorhome that would have been perfect, if not for the issue of having a motorcycle. "Hah, wouldn't that be funny" I thought, before moving on. I eventually began looking for anything plausible, at one time even trying to find a VW Bus that I could possibly stuff the bike into, after some dismantling. My search was without fruit. Every couple searches I would go back to the Toyota RV. A 17 footer, built by Mirage in San Clemente off a 1978 Toyota pickup chassis. It ran a 22R engine which is a tank, with a manual transmission. The mileage wasn't bad, and for only $2,200? But what about the bike? It sounded so perfect, but what was I to do with the bike? So I kept moving on. I mean hey, how could I not? Sure getting the motorcycle home was going to be a challenge, but if there is one thing I love, it's a good, practical challenge. So from here on out my 2012 motorcycle trip turned into an RV one. 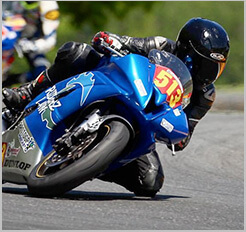 And being that I went from a 5 speed V4 Honda motorcycle to a 4 speed I4 Toyota motorhome, I polarized from being one of the fastest things on the road to by far one of the slowest. But I gotta say, that I was loving it. As it turned out, I was able to defer the problem of the motorcycle until our journey back home, as the man I bought the RV from let me keep it at his parent's house for a week or two. It was at his parent's house, because he decided to move out east in pursuit of his dream, hence selling the motorhome (which was until that point, his daily-driver). After working for years as a computer scientist, what was the dream he was leaving it all behind for? To be the man, who sold at auction, the most expensive comic book ever. I couldn't make this up if I wanted to. So with the motorcycle left at their house in Fortuna, Ca – onward we embarked. The following day we rolled into Portland quite late, but with our new rolling house we were unaffected. We had previously setup a CouchSurfing host for us in Portland since we had planned to be on the motorcycle, but since we now had an RV we were without need. Our host was kind enough to allow us to hang out with them, and use their bathroom for showering, et al. While in the city we conducted ourselves in the most stereotypical Portlandia-esque manner. The house that we were meant to be hosted in was actually a large home that was being converted into a Bed and Breakfast by the owners. However partway through the project, namely immediately following the demolition phase, they ran out of money. So the home was left without walls, without carpet and with few doors. The son of the owner was allowed to use it for their own devices, so they rented out a few of the rooms to residents, and used the rest of the space for CouchSurfing. The attic was entirely covered with mattresses for CouchSurfers. 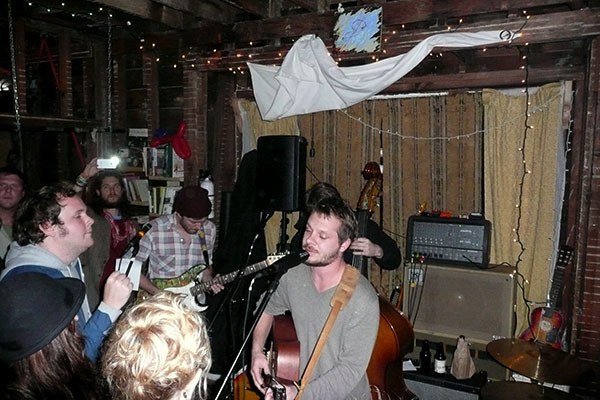 On one day of our stay at the house, they hosted a "house-gig", which is exactly as it sounds: the house was used as a venue for a free music show. The house had a room dedicated completely to bicycle storage. Inside it, along with the 30 or so different bikes was a collection of trailers made from bamboo as well as a double-decker bike that was so tall that a ladder would have been useful in mounting the thing. After the show we attended a club-night that took place inside a convenience store. The owners cleared out some of the space, put on music and allowed people to come in free of charge. Of course they wouldn't be true capitalists if they hadn't also sold cheap cans of beer to guests. We also checked out "the oldest continuously operating public rose test garden in the United States", went to the "world's largest independent bookstore", ate from the many food carts throughout the city, went to the donut shop that serves bacon-donuts and had a bottomless mimosa brunch. If you haven't been to Portland before, it is not one to be missed. The beauty is found in its quirks and the kindness of the people, no matter how hipster.